You’ll hear me say this all the time but it always always rings true – no matter where I go I am constantly inspired and impressed by places. I honestly had no idea what an impression little Lithuania would leave on me and I was overaud by it all. 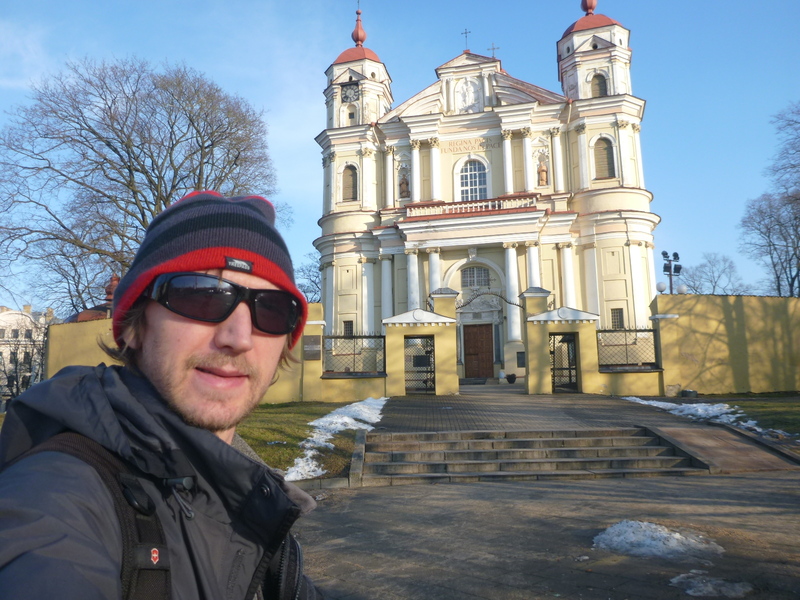 Having kicked things off in Kaunas, where I loved the bars and my hostel the Monk’s Bunk, I caught a train to Vilnius, the capital of Lithuania. I decided to stay in the heart of the old town and chose Litinterp Guest House (again – immaculate place – welcoming, all you could ask for). 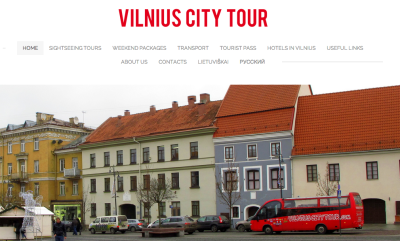 After walking some of my way round the city myself and preparing for my zany journey across the border into the Republic of Uzupis, I booked myself on a bus tour of Vilnius with Vilnius City Tour. 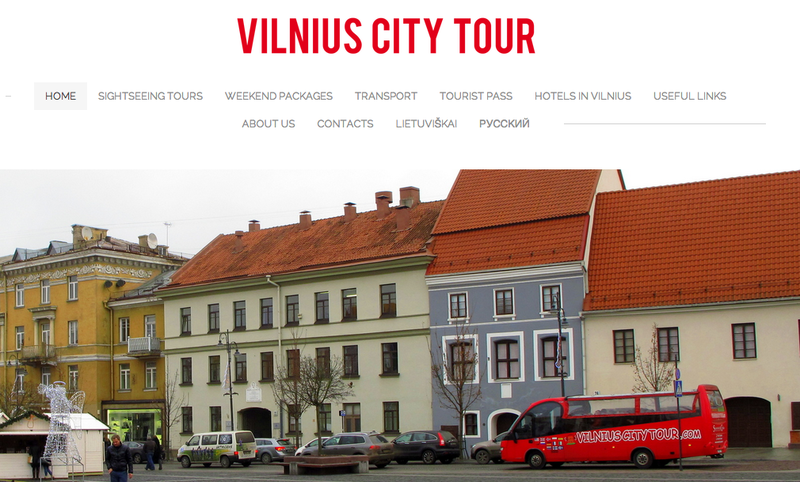 The bus for my Vilnius City Tour. 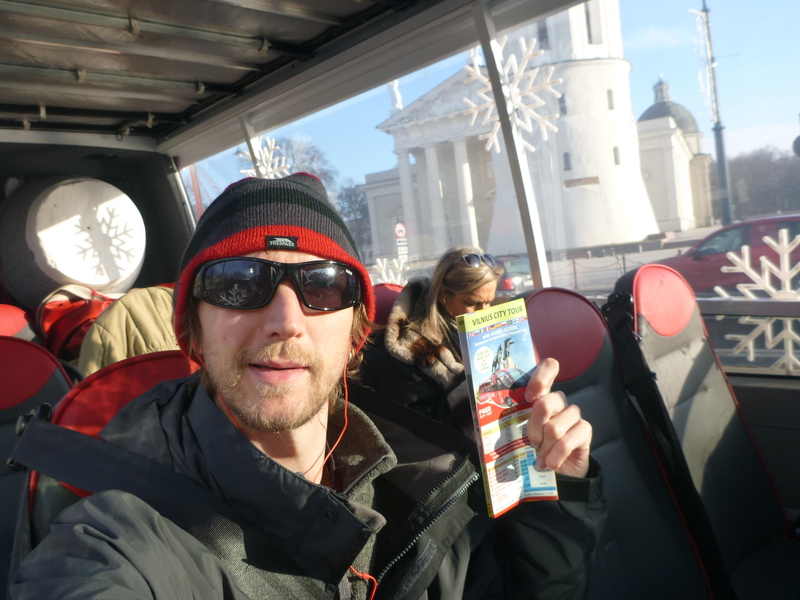 You might be surprised to learn this was my first guided bus tour of a city for 5 years!! 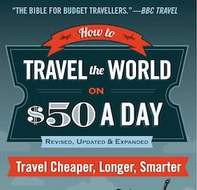 I found that fact astonishing myself, and indeed the last one I did was in Buenos Aires in Argentina. I have also taken audio guided bus tours in Berlin, Stockholm, Moscow, Wellington and a few other spots. I normally like to do things myself, but these days the workload piles up (I’m months behind on posts/my book), the legs get tired (I’ve walked through 100 cities in the last year – crazy!) 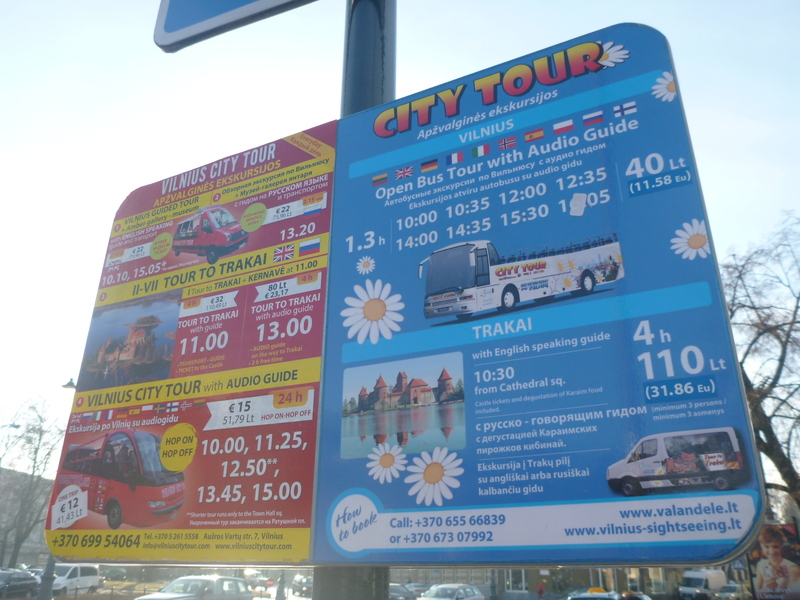 and I loved the idea of an audio guide! 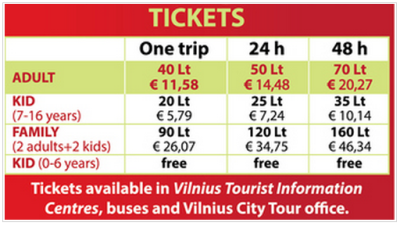 Vilnius City Tour offer a few different packages and my recommendation is to buy either a 24 hour or 48 hour hop on – hop off pass. This depends on whether you have 2 days or 1 days in Tallinn. With the 2 day option, you’re likely to see everything you want. 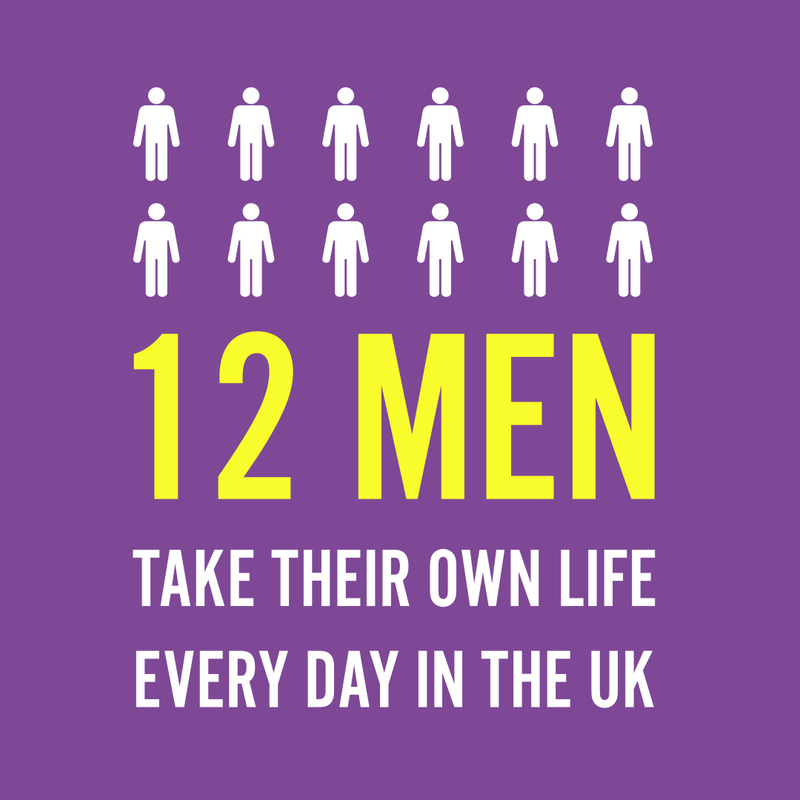 With the 1 day option, you’ll have to pick and choose. 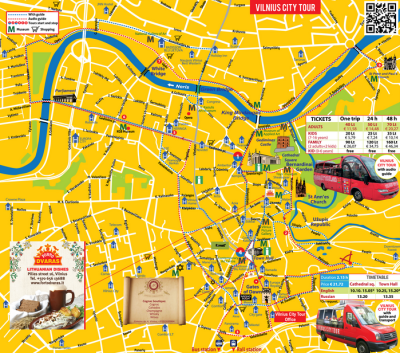 You get given a map of the tour. Here are the meeting places and times of the bus tour. Meeting times and locations of tour. I got on at Cathedral Square – it kind of makes sense as this is realistically the first stop on the tour, plus it’s easy to find and very central. You go to where the Cathedral and Belfry is and you cross the road to the bus stop, behind which is the Amberton Hotel. 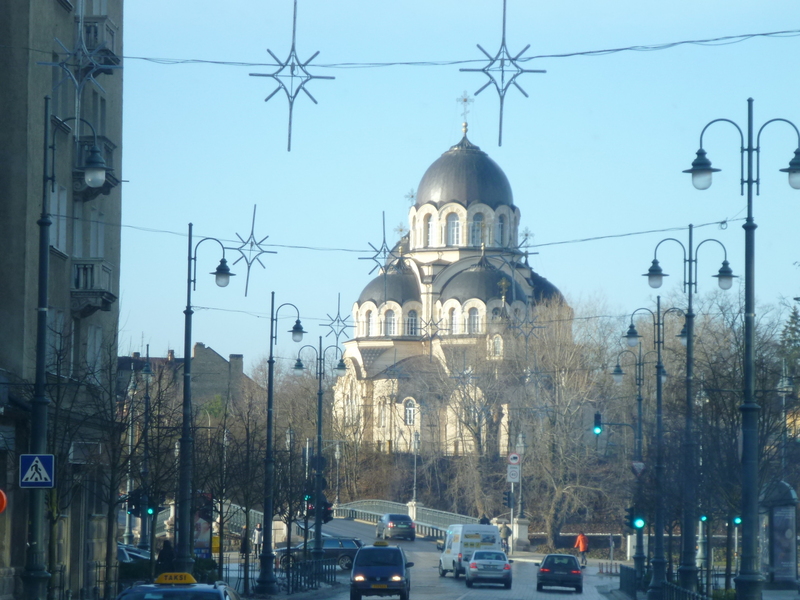 I jotted down notes while I looked out the window, took some photos and listened to the audio guides. 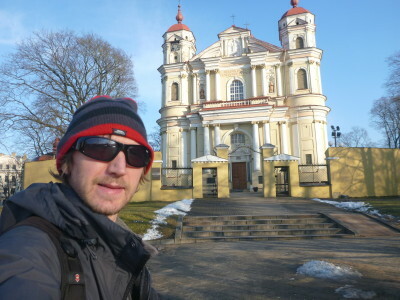 I’m putting it into my own 14 points for this post, as these are the things I enjoyed, however the Vilnius City Tour Guide Map you get actually makes things simpler with just 8 stops on the map. The bus stop for the Vilnius City Tour. 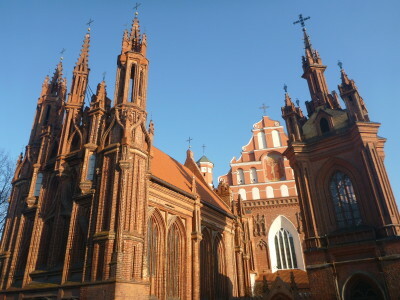 We start off in Cathedral Square where we also see Gediminas Castle. We are told this area was once a Forest and that Vilnius gets its name from the smaller river, the Vilnia which runs behind the Castle. 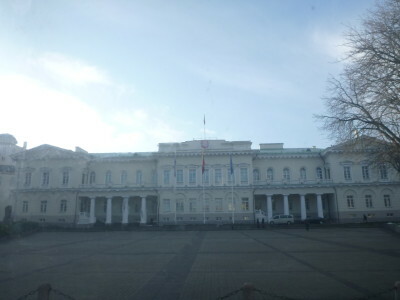 Then we see the Palace and the University. There is a museum near the Palace and you can also get a guided tour of the Palace. In the distance you can also see the Hill of Three Crosses, where 7 Fransican monks where killed for faith in the 14th Century. 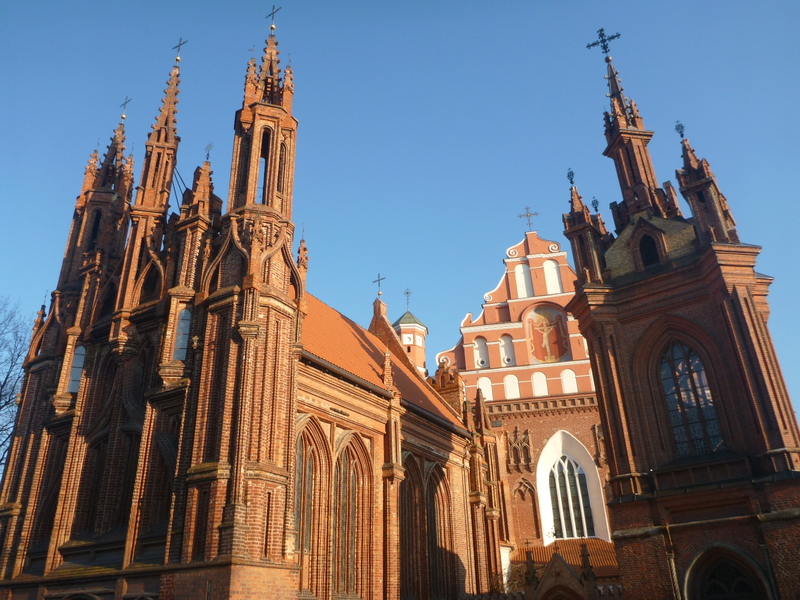 Vilnius is bunged full of striking and memorable churches and on route to the bridge at Uzupis, we passed by St. Anne’s Church which is magnificent red brick work and sits not far from the river Vilnia. Next up we stop opposite the bridge entrance to the Republic of Uzupis! 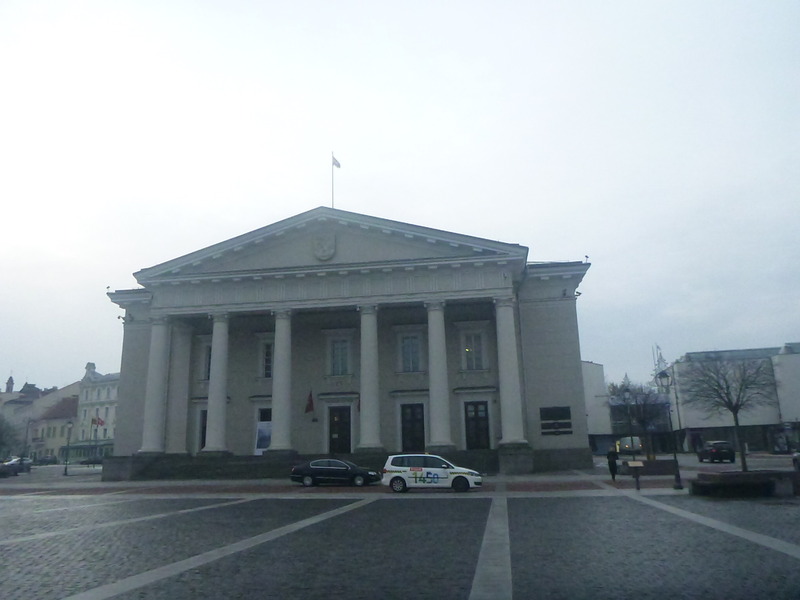 This is a crazy self proclaimed Republic right in the city centre of Vilnius here. 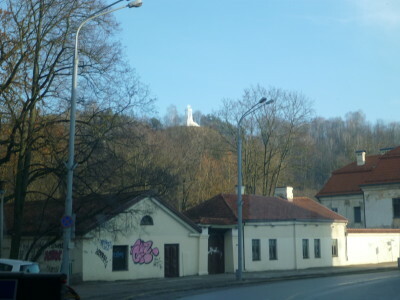 The Republic has its own massive Angel statue, passport stamps, fake money (can only spend it on April Fool’s Day), flag and border across a bridge. An absolutely fascinating place – you can read my posts on Uzupis here. 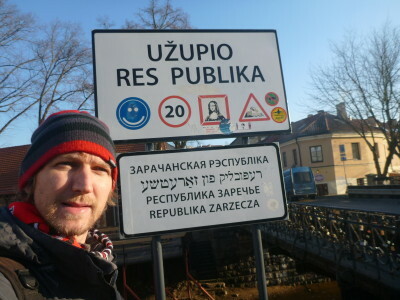 The bridge into the Republic of Uzupis. It’s no surprise to learn that the city was once walled, and you can see glimpses and remains of it at various points. The Gates of Dawn is the only one of the town’s original 9 gates that is still intact. You can walk right through it into the Old Town. Gates of Dawn in Vilnius. 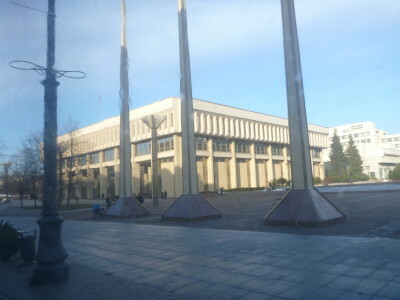 Next you’ll see the Town Hall square, a prominent building in front of an empty square (kind of more of a triangular shape in fact). Some people choose to get off the bus here as it’s easy walking distance to a lot of the sights we have just seen from the bus, as well as the Jewish quarters. 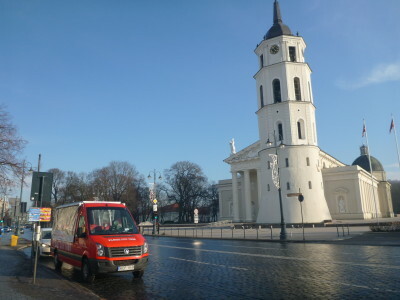 Town Hall Square in Vilnius. We veer through parts of the Jewish Quarters. Sadly the Jews were killed in their ghettos by the Nazis in 1943. They’ve recovered them however and many Jewish people still live here in Vilnius. At this point we see a “Church Hat Trick” – 3 churches all close to each other. 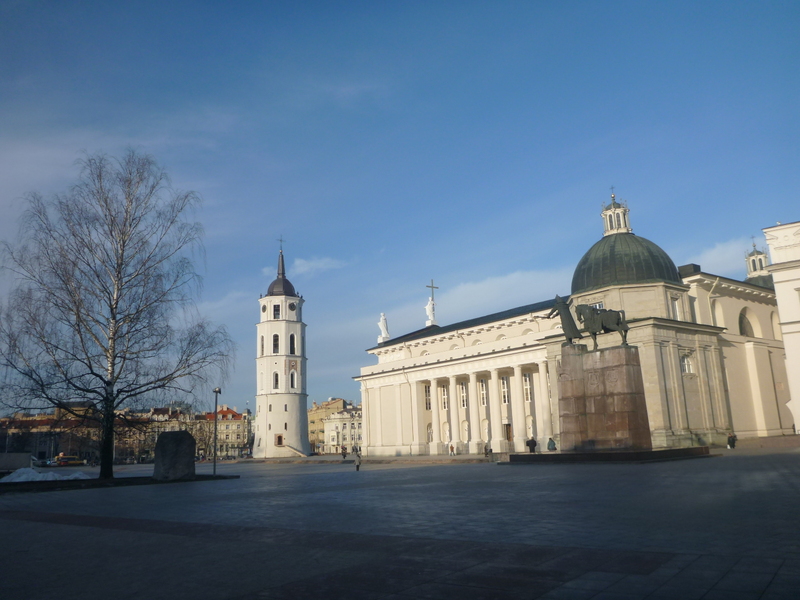 Church hat trick in Vilnius, Lithuania. KGB museum for the genocide victims in Lithuania. The Lithuanians need a building to run the country from and the parliament is also on Gedimino Street, right at the end before the river. This street has changed times more than any other major street of a capital city in the world. In its time it has been known as Hitler Street, Stalin Street and even Lenin Street! 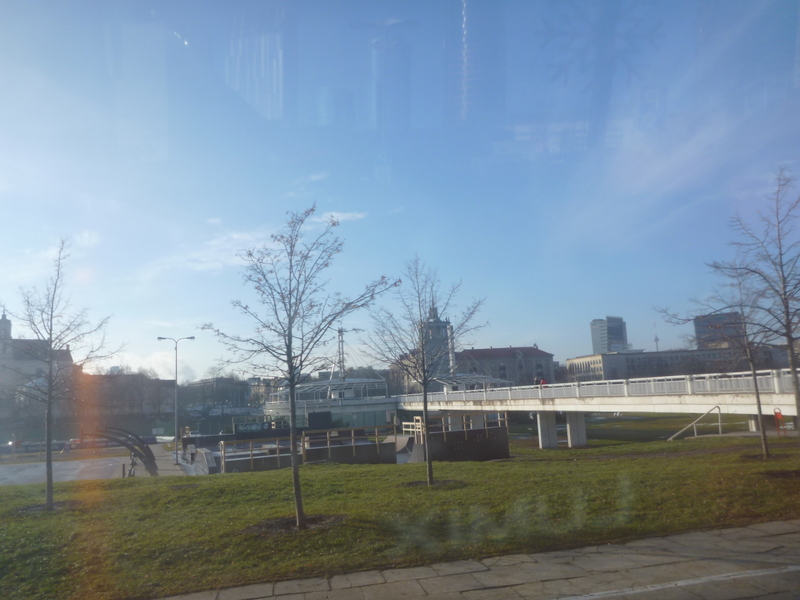 We cross the river by bus into a district with a difference. Unique wooden architecture here is very different to the other parts of Vilnius, especially in the Old Town. 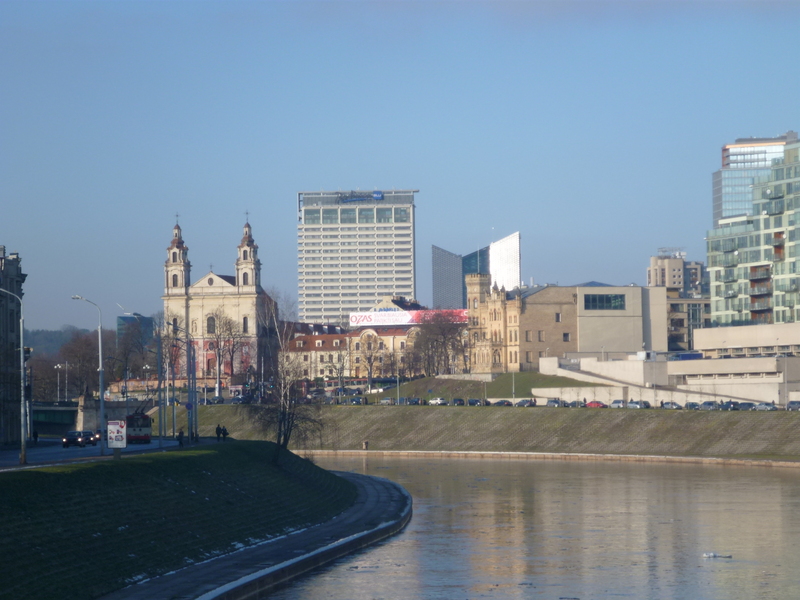 The architecture is famous and the buildings are being protected. 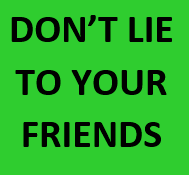 There’s a good article here on it. 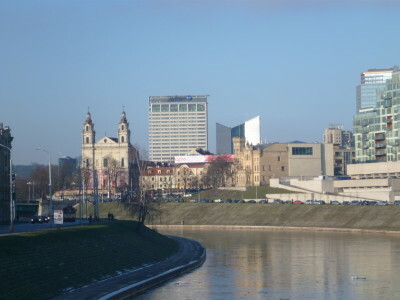 Zverynas District in Vilnius, Lithuania. We then pass alongside the river where the audio guide tells us the history of two of the bridges over the river Neris. The White Bridge was the scene of a special flight by local pilot Jurgis Kairys who flew under the bridge. The Green Bridge has four statues on either corner and they remain as symbols of the communist people under Soviet rule – the farmers, the workers, the students, the soldiers. Anyone who is into shopping, then you will soon pass one of Vilnius’s best shopping centres, it’s on your left hand side while the river remains on your right. Just after this we pass the remains of the old national football stadium (where Iain Dowie once scored a 1-0 winner for Northern Ireland back in 1993) and the Lithuanian Olympic committee. 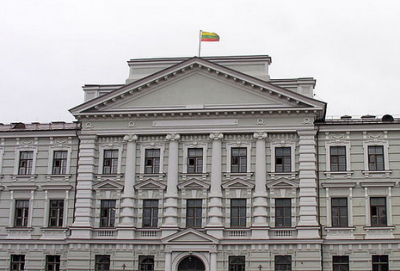 We are told facts about the Lithuanian basketball team, which has won a lot of awards. The national sport here is basketball. 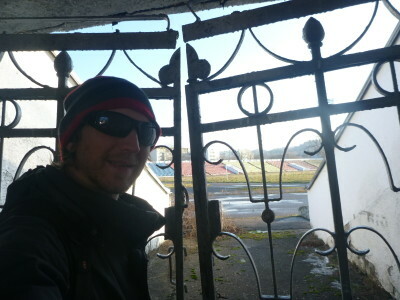 The old football stadium where once, Iain Dowie “Dowied”. The final stop on my round was at the stunning St. Peter and Paul’s Cathedral. It might look cool from the outside, but venture on inside and you will love it! 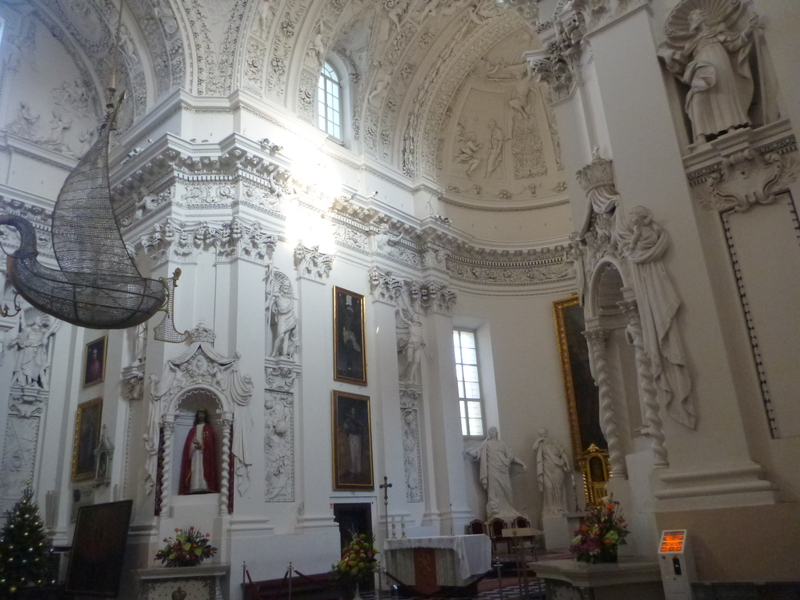 Here are a few photos of the church. 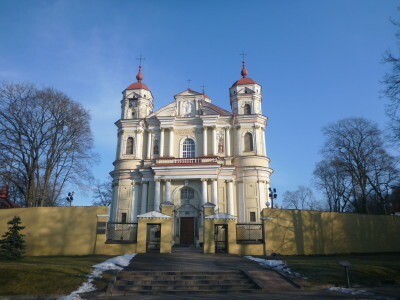 St. Peter and Paul’s Cathedral. Inside St. Peter and Paul’s Cathedral. This entry was posted in Buses, Europe, Lithuania, Transport, Vilnius. Bookmark the permalink. The Palace is actually President’s Palace, where our President works. I’m not sure if there’s a museum, but visits can be arranged. Ele recently posted…O kada Jūsų miestelio bažnyčioje atidarys kavinę? 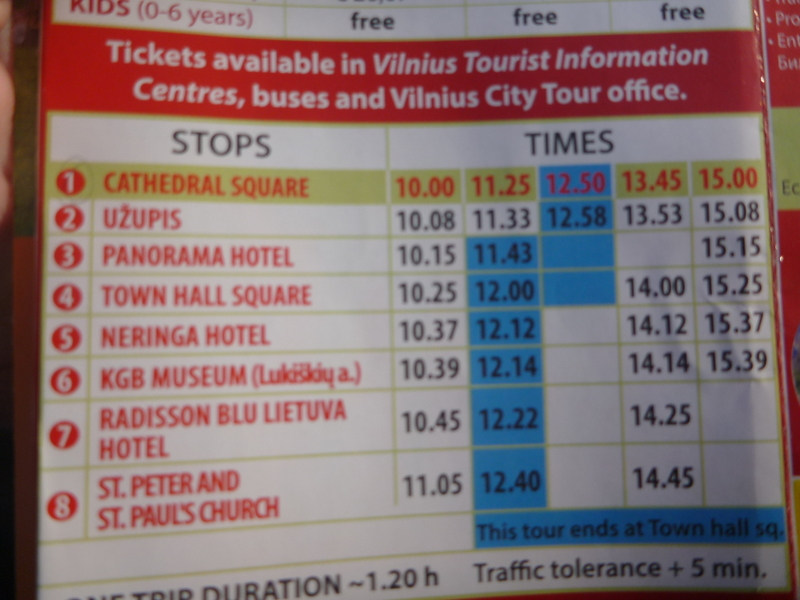 That KGB Musuem would be my top choice to visit on this city tour! I can only imagine what life under Soviet rule would have been like in Lithuania.